“Jordan is part of the Holy Land”. Two years ago, I met in Rome with officials of “Opera Romana”, which is the religious tourism arm of the Holy See, to talks about religious tourism. 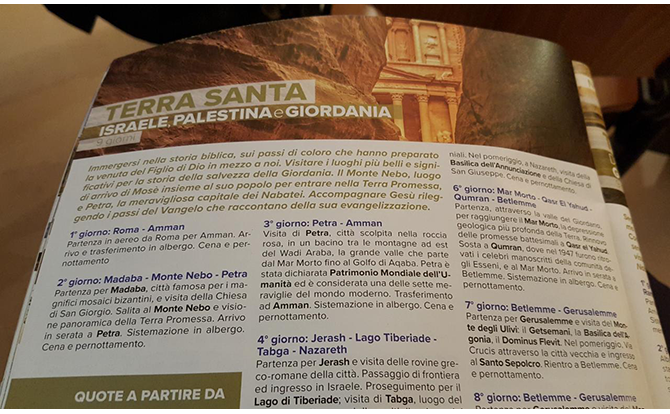 The discussions included the title, “Visit the Holy Land ‘and’ Jordan’’. During the meeting, I raised the point that Jordan is part of the Holy Land. I made historical references and referred to the fact that four popes have gone on pilgrimage to Jordan. Thus, in the official reports issued nowadays, it is noticed that reference to Holy Land includes Jordan. The elimination of the word “and” was not an easy issue as it required huge efforts to correct the mistaken logic. At the time, we must continue to exert efforts to make religious tourism more attractive, innovative, creative and producing spiritual benefits. It also serves to boost economy.